Bob's Welding, Machining & Fabrication excels at building custom cabinets and doors, such as residential doors, industrial utility cabinets, trash enclosure doors, and more. We offer expert design, machining, plasma cutting, shearing, forming, fabrication, and assembly services, and can fabricate nearly anything out of aluminum and steel. We have served thousands of clients throughout Anaheim, Fullerton, Tustin, Orange, Brea, Westminster, Santa Ana, Yorba Linda, and surrounding Orange County cities over the last 80 years, and have a reputation for exceptional craftsmanship, honesty, personalized customer service, and superior results. Call us today for a free consultation. We are licensed, insured, and AWS certified. 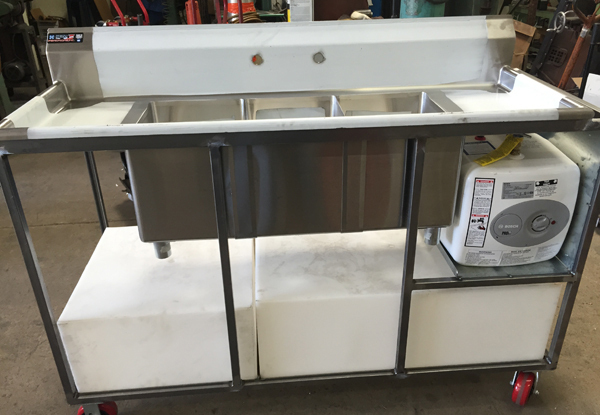 Bob’s Welding fabricated this custom stainless steel sink for a Tustin, CA client. The portable steel structure holds various sinks and pipes to create a portable dishwashing station. We cut and fabricated all materials to meet our client’s specific requirements. 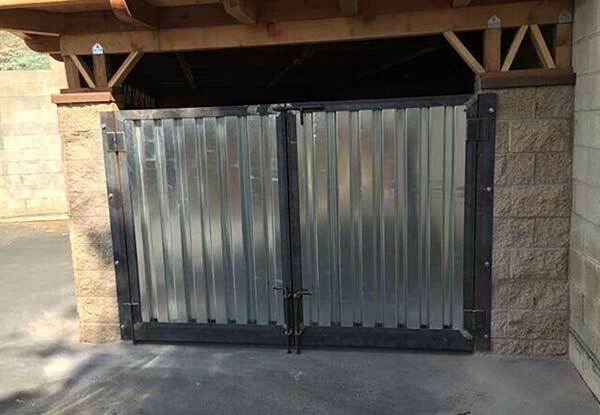 Bob’s Welding built and installed this custom steel door for an Anaheim, CA client. 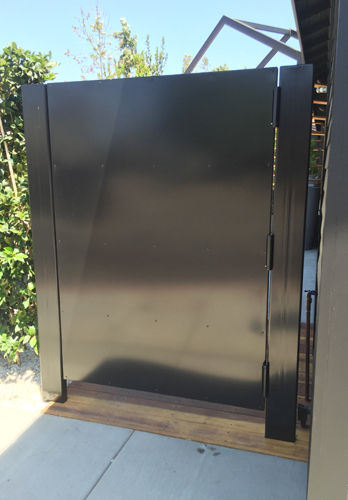 The door was custom fabricated out of steel then powder-coated before being installed at this new Orange County brewery. 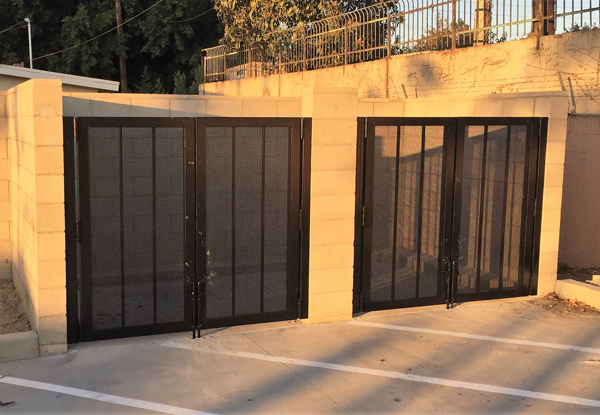 We created this set of trash enclosure doors using galvanized sheeting within a steel frame for an Orange County business owner. Our client wanted a nice looking yet sturdy set of doors. We completed the job by attaching a bolt closure system at the bottom of the doors. Bob’s Welding fabricated and installed these custom steel enclosures in Santa Ana, CA for a commercial client. We performed an on-site inspection, took measurements, and designed a custom trash enclosure to meet our client’s needs. The steel doors were fabricated and powder-coated in shop then installed on location. 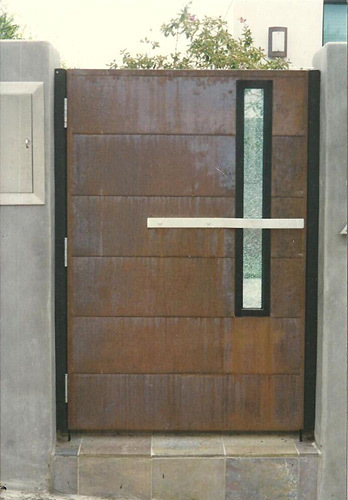 Bob's Welding fabricated and installed this custom made residential door in Laguna Beach, CA. We used steel and copper sheeting to create this modern copper inspired gate. 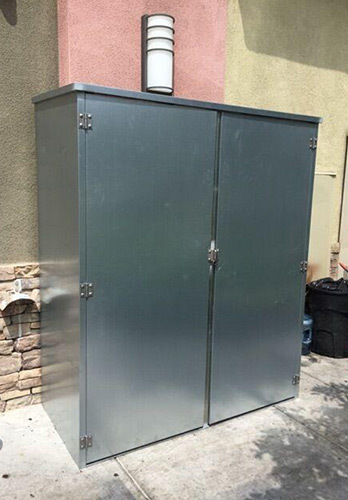 We used galvanized tubing and sheeting to create this utility cabinet for a restaurant in Anaheim, CA. We worked with our customer's specifications to design and fabricate a utility cabinet that was functional and compact, but provided the interior space the customer needed. 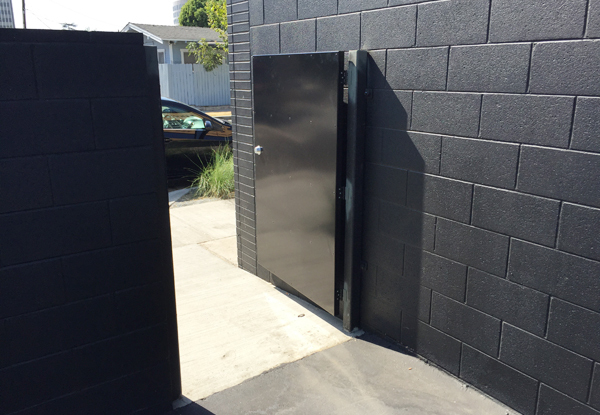 We assembled and installed multiple custom steel enclosures in Anaheim, CA for The Make, a new brewery hot spot. The client required enclosures that would conceal equipment while complementing the building’s aesthetics. The steel enclosures were fabricated, welded, and powder-coated in-shop, then delivered to the brewery for installation.